Backyard Pool & Spa Repair, LLC, a State of Florida certified repair contractor CPC1457910, and is committed to providing exceptional service and repairs in a professional and timely manner at affordable prices. The owner and president, Michael D. McMaster, has over 10 years experience in the pool & spa repair trade. We are focused on not only repairing and maintaining pools & spas but improving overall function and appearance. We do this by providing solutions through proper hydraulic and equipment selections. 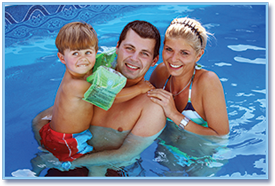 Backyard Pool & Spa Repair, LLC is the BEST choice for your pool & spa repair.